LookING FOR A PROPERTY IN St Raphael? Are you looking for a property in St Raphael or Fréjus, France? HOMEHUNTS is an award-winning French real estate specialist that finds the very best property in Fréjus and St Raphael for our clients. Both towns are rich with the distinct allure and culture of southern France. HOMEHUNTS estate agents will handpick French Riviera property to meet your wants and needs, whether you’re searching for a full-time residence or a holiday home. 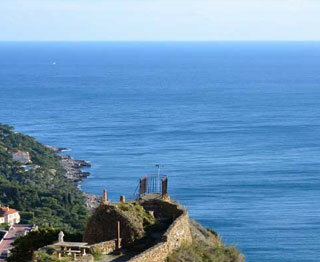 We have the experience and knowledge necessary to find property in St Raphael in the most unique, idyllic locations. Our partnerships with immobilier throughout France also helps us to handpick magnificent properties in the Fréjus and St Raphael areas. The Provencal village of Fréjus is in the eastern part of the French Riviera, between the Massif des Maures and the Massif de l’Esterel mountain ranges. The medieval town centre has the Place Formigé as its focal point, home to the Saint-Léonce cathedral as well as town hall. Fréjus is a prosperous town, full of history and character. Narrow streets pass pastel architecture, shaded town squares and stone fountains. People travel from all over to take in the locale’s Roman ruins, including Les Arènes, an amphitheatre that once held 10,000 spectators and that today hosts bullfights, concerts and summertime events. 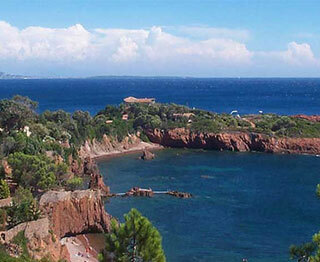 Nearby is the equally charming Côte d’Azur town of St Raphael, one of the coast’s oldest and best-maintained resorts. Quieter and calmer than other parts of the French Riviera, St Raphael has a modest harbour surrounded by pristine beaches, cafes and shops. St Raphael’s appeal is comprised of cobblestone paths, seafront promenades, plentiful markets and the 12th century church in the Vieille Ville old town. 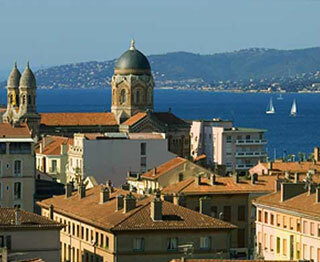 Climb the watchtower at the Église San Rafeu (St Raphael’s church) to get an unparalleled view of the town. Peruse a photo exhibition at Jardin Bonaparte or bring the kids to the park’s play area. St Raphael property and luxury property in Fréjus includes both new and recently renovated homes, many of which are close to the courses of the Valescure Golf Club. Houses and villas in St Raphael are in quiet, residential neighborhoods with easy access to the Mediterranean and shopping in town. Restored Belle Époque mansions on the seafront look out over the azure water and golden sand of the coast. Overseas buyers will find property for sale in St Raphael includes multi-floor villas that are outfitted with refined décor; spacious, airy living areas; additional buildings for guests, caretakers or studio setup; heated swimming pools accompanied by pool houses; wine cellars; and sun terraces. Depending on your needs, you can also find property in the South of France with special characteristics like boat storage, private harbours or beach access. Your HOMEHUNTS property agent is able to select beautiful, high-end property for sale in St Raphael and Fréjus based on your specific search criteria. Whether you want to live in the middle of a town or city or in a more tranquil setting, there is property in St Raphael and Fréjus that meets your requirements. Use the search bar above to browse our selection of luxury homes. You can also speak directly to one of our consultants by calling +33 (0)970 44 66 43.